Home / Scents / Rihanna Reb'l Fleur Eau De Parfum - Dismiss Or Buy ? Rihanna Reb'l Fleur Eau De Parfum - Dismiss Or Buy ? Being a fan of Rihanna's music i was intrigued to find out what her scents would be like. This is a 100ml and Eau De Parfum Spray Vapouriser. 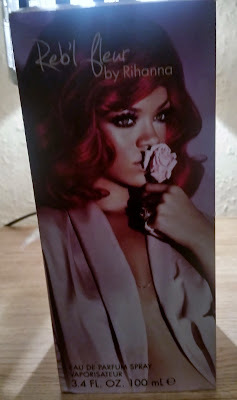 The packaging is a picture sleeve that slides over the box with a stunning picture of Rihanna smelling a pink flower. 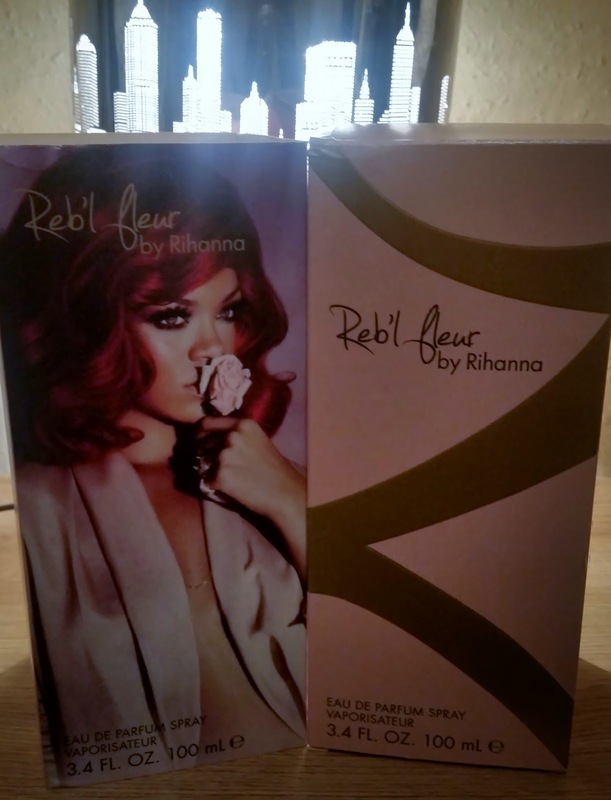 When u slide the picture sleeve off its a cute pale pink box with the same writing on the picture sleeve stating Reb'l Fleur by Rihanna. I keep the picture sleeve on and open the box by the top. 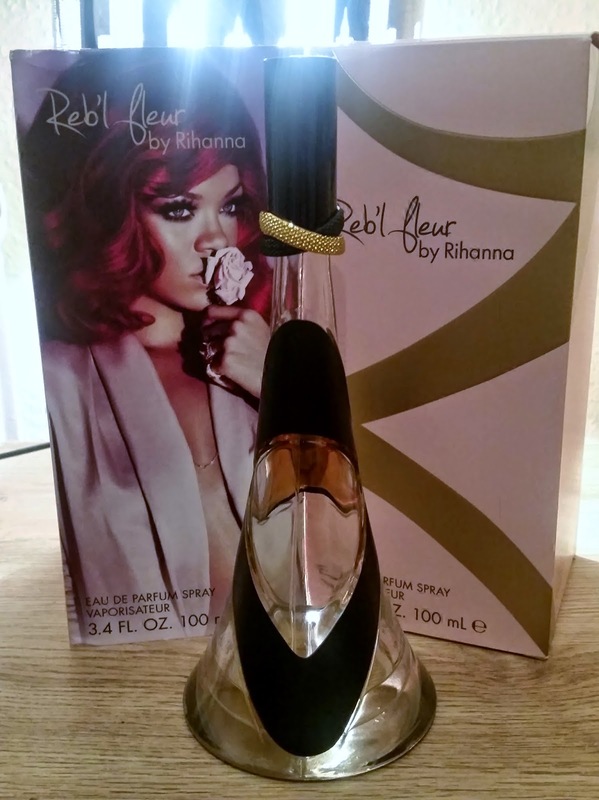 The bottle is stunning and edgy and also its like the perfume glows from within. Very unique! It has been mentioned the bottle is designed in the shape of a high heel. The stopper also features a gold and black ribbon which is a fun idea as beats a boring plain stopper/lid. The fragrance is an intense and daring fruity Chypre. Tuberose, Violet and Hibiscus, - With a splash of coconut water - over the light and smooth base, the combination of the final notes evokes the impression of warm skin. Fruity, Sweet, Vanilla, Coconut, Powdery, Patchouli. Let me tell you, this scent and all its notes fit perfectly together. Its like your on an exotic island with the sun shining and your on a journey of your own! It is spicy and fruity with that sweet and dark vanilla undertone staying in the background. There's a hint of musky floral. Peaches and red berries make a surprise hello, giving the impression its all wrapped up in a creamy texture. If your after the coconut smell u might be disappointed as i couldn't smell any coconut and some others have stated that fact as well. I've smelt this the next day, but isn't cloying or nauseating or one of those scents u regret you ever sprayed. 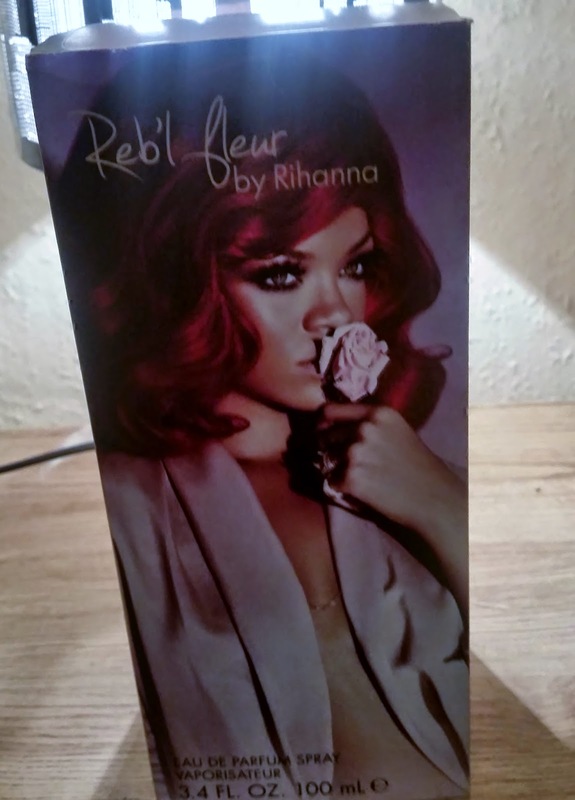 This is very distinctive and is in a league of its own for CELEBRITY scents. So if your looking for a scent that is worthy of compliments then you should BUY!! !